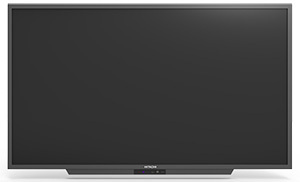 Three new interactive flat panels from Hitachi America offer full HD capabilities in 65-inch, 75-inch and 86-inch models. The displays boast 10 or more simultaneous points of touch (with +/- 2mm accuracy) to support collaborative learning and group work. The screens feature anti-glare tempered glass and are equipped with remote control, 2 stylus pens, and HDMI and USB cables. Users can connect their personal computers directly to the display to share presentations, documents and video, and the stylus pens enable note-taking and editing directly on screen. For more information, visit the Hitachi site.